Thus Charles embarks upon the tangled web composing the life of Percy Bysshe Shelley, and those with whom he associated. When he meets the owner of the documents, he learns she is Claire Claremont, stepsister of Mary Wollestonecroft Shelley. Soon he finds himself in the middle of a maelstrom of controversy, contradiction, and accusation as well as irrefutable facts concerning the association of Claire, Mary, and Shelley. Rather than basing his investigation on the common gossip of the time, however, Maddox delves into the past, uncovering half-truths and innuendos, accusations of child-murder and women driven to suicide, of sexual abandon and sexual duress, of desperate acts committed to control loved ones, and so much controversy it’s difficult for even the investigator to determine the guilty from the innocent . . . if there are any. The story centers on the relationship between Clair, Mary, and Shelley. Lord Byron appears merely in passing, almost an onlooker waiting to be seduced by Claire. Maddox’s personal life is interspersed through the story, but seems a mere aside when compared to the enormity of the relationship between the three that he uncovers, as if simply to show his singlemindedness in ignoring what is going on around him. There’s a mention of the so-called “Gothic Summer.” Though many stories abound of what went on, Maddox soon realizes none of them come near the truth. It’s soon obvious obtaining Claire’s papers is the least of the Shelleys’ worries. The dispute over the actual authorship of Frankenstein, and even the plot of the novel relate to the mysteries involving the poet’s private life. Mary is likewise diametrically opposed in her emotions, a woman ready to sacrifice even her own children for control of her lover and husband. Claire may or may not be the least guilty or innocent of the three. It’s a dramatic, dark story of people infamous in their own time, famous in ours, some fact, some supposition, some the author’s own flair for the dramatic. Ms. Shepherd has penned the story of a man who may have been guilty of horrendous crimes, if only in his own mind. 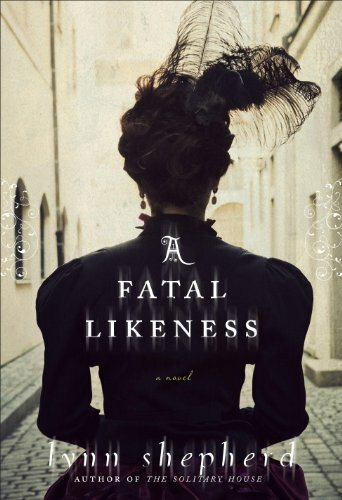 All in all A Fatal Likeness is an overwhelming narrative of love in its darkest moments, of a man “fated to bring death on all those unfortunate enough to come within his sphere . . . whether it is his intention or not,” while now being considered one of its most notable poets.